The toolkit will include 13 classification and segmentation AIs and software tools, designed to help assist radiologists. As Nvidia continues its focus on the medical imaging space, last night the hardware company unveiled Clara AI, a toolkit for radiologists, which includes 13 classification and segmentation artificial intelligences and software tools. At yesterday’s Nvidia’s GTC conference keynote address, the company’s CEO Jensen Huang discussed how artificial intelligence could be the key to helping radiologists save precious time and resources. Huang doesn’t propose that Nvidia come up with every tool needed in the space. Instead the company would help radiologists develop the tools needed. One of the focus areas of the new technology is assisting in annotating and labeling large data sets. The company said that it could alleviate the time-consuming task of labeling data sets. Instead Clara AI could help structure data sets. The idea is that hospitals and research centers can take this tool and apply it to fit their own data and needs. 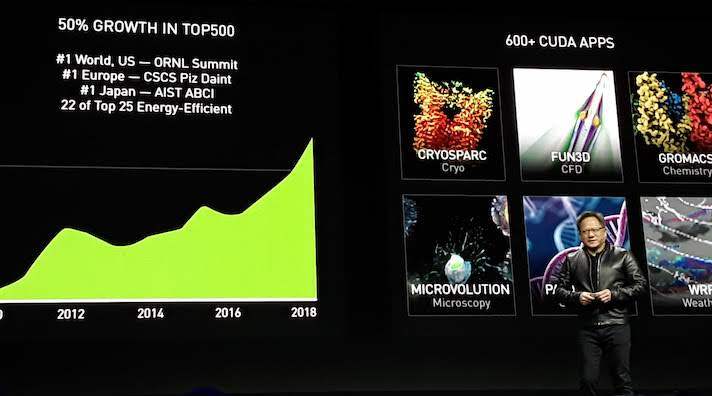 So far Ohio State University, University of California San Francisco and the National Institutes of Health have employed Nvidia’s Clara AI. This Clara AI is announcement is an expansion of the AI platform Clara, which uses AI to create a virtual medical imaging platform, and was announced at last year’s conference. Physicians are in high demand but the forecast looks bleak for filling the need. According to the Association of American Medical Colleges, the US alone is facing a shortage of over 120,000 doctors by the year 2030. Increasingly technologists have been looking to use AI and machine learning to help lighten doctor’s work loads. This is by no means Nvidia’s first launch in digital health. At last year’s GTC conference, the company announced the first version of Clara. The company has also been making deals with major research institutions. For example, in October Nvidia made an announcement that it is partnering with King’s College London to deploy the Clara platform as well as Nvidia’s DGX-2. Additionally, the company has been involved in medical imaging and partnering with big names in the healthcare industry like Massachusetts General Hospital and the Mayo Clinic.